Lee’s father forced him to move back to America when he was 19 after getting into a fight and severely injuring his opponent. Upon returning to the States, he moved to Seattle and began teaching martial arts. He modified what he had learned and improvised techniques in an effort to develop his own system with an emphasis on practicality, flexibility, speed and efficiency. 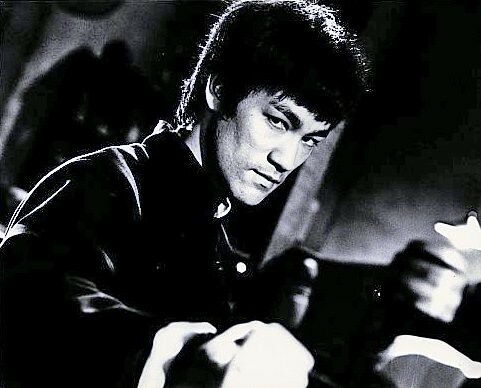 By 1965, he originated Jeet Kune Do whose symbols indicated that ‘using no way as the way’ and ‘having no limitation as a limitation’. He threw out the formalised approaches that he felt held back the traditional styles of martial arts. He adopted and emphasized ‘the style of no style’. He lived his life and taught his students how to exist outside of parameters and boundaries. * Achieving striking speeds of five hundredths of a second from three feet away with his hands down by his side. * Lifting a dime off a person’s open palm and leaving a penny behind before they could close their hand. * Performing push-ups using only his thumbs. * Performing up to 50 repetitions of one arm chin-ups. * Throwing a grain of rice in the air and then catching it in mid-flight with a pair of chop sticks. * Thrusting his fingers through unopened steel cans of Coca-Cola. Lee began acting (if you can call it that) at the age of only three months and continued throughout his entire life. He died shortly after filming completed for ‘Enter The Dragon’. Lee was believed to have more than 2500 books in his personal library and his eclectic philosophy was a result of borrowing something from everything that he read or studied. Ultimately, he believed that any knowledge led to self-knowledge and that each person had a chosen method of self-expression based on their knowledge. – When asked if he believed in God. Kick or chop here to listen to the Bruce Lee mix. 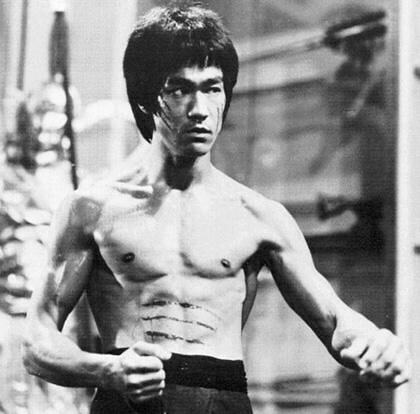 Bruce Lee was born in San Francisco in 1940 and grew up in Hong Kong. He was introduced to martial arts by his father and began formal training at the age of 13. He excelled in Wing Chung Gung Fu and was eventually trained privately for several years by his master, who greatly influenced him. In addition to studying Gung Fu, he also boxed and became a champion at the age of 18, beating many of the best amateur fighters his age in Hong Kong. Lee’s brother, Peter, was a champion fencer and Bruce learned the techniques of the sport from him. This wide range of influences and abilities helped Lee formulate his own style of Kung Fu later in life.